This sale offering includes four separate parcels. Three of the parcels are on the west side of Narcoossee Rd. just north of Rummel Rd. and has a total acreage of approximately 11 acres. The other parcel is on the east side of Narcoossee Rd. directly across the street and just north of Dunkin Donuts. 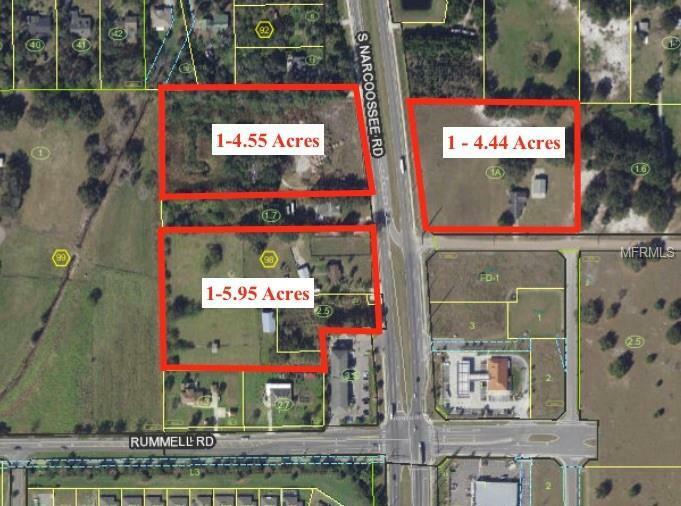 Seller is willing to subdivide as small as 1 acre. Price listed is price per acre. Call Broker for more information.